This article was originally published by IPI Global Observatory on 26 January 2018. Seven years into a relatively peaceful political transition that has given Tunisia a reputation for stability, protests have again spread across the country. The successful adoption of an inclusive constitution, the enactment of laws prohibiting violence against women and girls, and the holding of free and fair elections have in themselves not been enough to address underlying structural problems that have persisted since the 2011 transition. 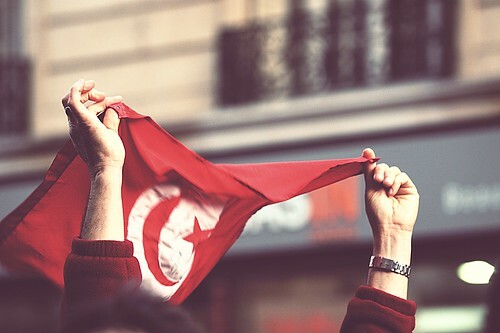 While the political and social reality that demonstrators are responding to does require serious attention, there are also reasons to hope that the current juncture is an opportunity to build on Tunisia’s successes. 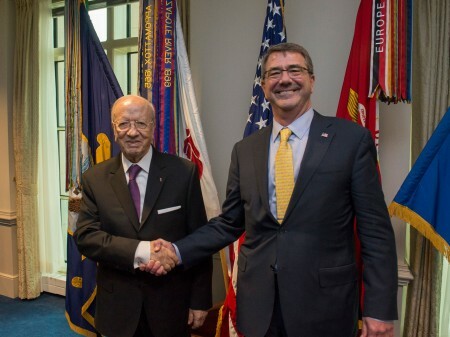 US Secretary of Defense Ash Carter with Tunisian President Caid Essebsi at the Pentagon, 21 May 2015. 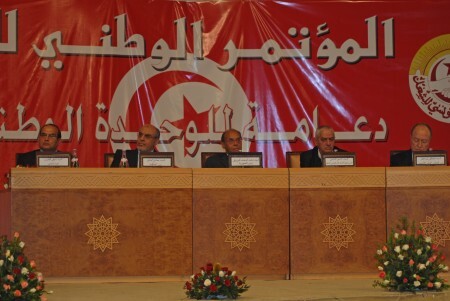 Tunisia’s transition process remains one of the few bright spots of the Arab Spring. While the transitions initiated in Egypt, Libya and Yemen have experienced numerous setbacks and repeated outbursts of violence, if not outright civil war, Tunisia appears to be well on its way to securing a genuine democratic space for itself. This view is shared, for example, by the latest Freedom in the World Report, which ranks Tunisia as the first ‘free’ country in North Africa since Freedom House began its worldwide assessments of political rights and civil liberties in 1972. 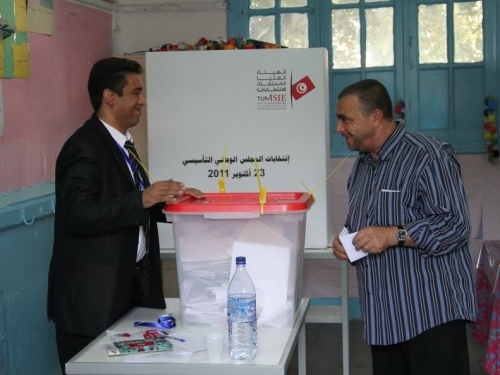 Although there is a fast-growing body of research that attempts to explain Tunisia’s comparatively smooth democratic transition, the Western media has not been as upbeat. Most analysts have focused on the challenges Tunisia faces, including the instability being generated by neighboring Libya and the broader Middle East and North Africa (MENA) region. As a result, other important aspects of Tunisia’s external relations, particularly those that have had positive implications for its transition, have gone unnoticed. This article was originally published by New Security Beat, a blog run by the Environmental Change and Security Program of the Wilson Center, on 12 May 2015. Among the few bright spots in the 2015 Freedom in the World Report, the brightest may be Tunisia, which for the first time was assessed as “free” – Freedom House’s highest “freedom status” and for many political scientists the definitive indication of a liberal democracy. Tunisia is the only North African state to have been assessed as free since Freedom House began its worldwide assessment of political rights and civil liberties in 1972, and only the second Arab-majority state since Lebanon was rated free from 1974 to 1976. The adoption of a new Tunisian constitution at the end of January has been hailed as a major milestone in the country’s democratic transition and a welcome piece of good news amid concerns about the direction of transition processes in other countries in the region. Anyone looking at North Africa and the Middle East today would be forgiven for thinking that the Arab Spring has rapidly turned into a bitter winter. The revolutionary road embarked upon by a number of countries looks ever more precarious. Syria is still being torn apart by civil war, in Libya the government is struggling to impose its authority and Egypt appears to be experiencing a reversal of the democratic gains it had made as the ‘deep state’ consolidates its position. 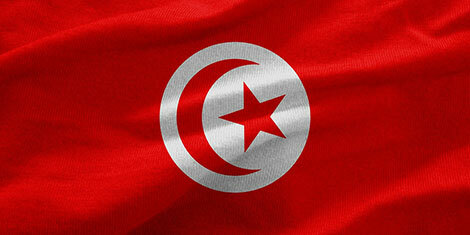 Yet, within this overwhelmingly gloomy picture, recent developments in Tunisia are cause for optimism.